Weighted Blanket Stress Relief – Is It Effective? 1 Weighted Blanket Stress Relief – Is It Effective? 1.1 What Is Stress And How Can A Weighted Stress Blanket Help? 1.2 Weighted Blanket Stress Relief – Is It Effective? Stress is a big word in the world today. It’s something people across all ages and social status experience. With the increasing pressure at work, school, family, and the environment, most people experience stress at least once in their lifetime. For those who experience stress on a daily basis, it’s something that can take a toll on the brain and the body. Stress has been a problem faced by many people of all ages. Children and even adults alike are faced with it everyday. As a result, it can affect one’s physical, mental, emotional, and psychological well-being. What Is Stress And How Can A Weighted Stress Blanket Help? Stress is a natural physical and mental reaction to different life experiences. From time to time, everyone can experience a form of it – anything from work, family, and certain problems. When stressed, the body thinks it’s in danger, triggering the fight or flight survival mode. As a result, the body releases hormones and chemicals such as cortisol, adrenaline, and norepinephrine to prepare your body for strenuous physical activity. Stress can affect the body in many ways. It slows normal bodily functions like the immune system and the digestive system. During bouts, a person may experience hypertension, increased pulse rate, fast breathing, decreased immune activity, slowing down of the digestive system, tense muscles and a heightened state of alertness, affecting sleep. Stress can also lead to various diseases such as heart attack, stroke, increased blood pressure, and mental health issues. It can also affect many systems in the body. Stress can make you breathe harder, affecting the respiratory system. It can affect the lungs, making it harder to breathe. For people with underlying lung disease, this can be dangerous. Aside from that, it can also affect the cardiovascular system, specifically the heart and blood vessels. When there is chronic stress, it can take a toll on these organs, leading to long-term heart disease. Stressed individuals are at a higher risk of developing chronic diseases and life-threatening conditions such as a heart attack, stroke, and hypertension. Weighted blankets have been designed to provide a good night’s sleep. It helps people sleep better. Today, it has been known to help people with various conditions such as autism, anxiety, insomnia, stress, ADHD, OCD, PTSD, and other mental health problems. Weighted blankets are heavier than regular ones. Usually, the weight ranges between 4 and 30 pounds, depending on the user’s body weight. When you use a weighted blanket, you will feel cradled, hugged, swaddled and grounded, making you feel relaxed. Many studies have shown how deep touch pressure can help provide relaxation, improve focus, reduce anxiety and even help people with autism. 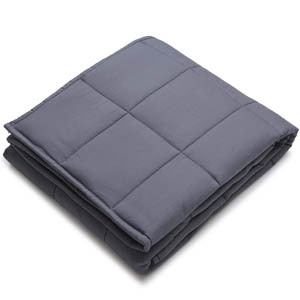 Weighted blankets promote the feeling of being calm and relaxed. This way, people who are stressed and anxious can become calmer, reducing the risk of long-term health effects. Lack of sleep can also lead to various conditions such as heart disease and stroke. Weighted blanket helps you sleep better and become calm, even after a stressful day. It all boils down to deep touch pressure stimulation. Deep touch pressure happens when you feel cradled, massaged, or hugged. As a result, the brain releases more serotonin, a feel-good hormone, and chemical messenger. Serotonin has been linked to the development of many mental health issues, anxiety, autism, and ADHD, among others. Serotonin is an important brain neurotransmitter that aids in mood regulation. Many conditions stated above are linked to low serotonin levels. Using weighted blankets that provide deep touch pressure (DTP) can aid in the release of serotonin in the brain, providing an overall relaxing feeling. Also, increased serotonin levels can reduce feelings of stress and provide a calming effect on the mind and body. 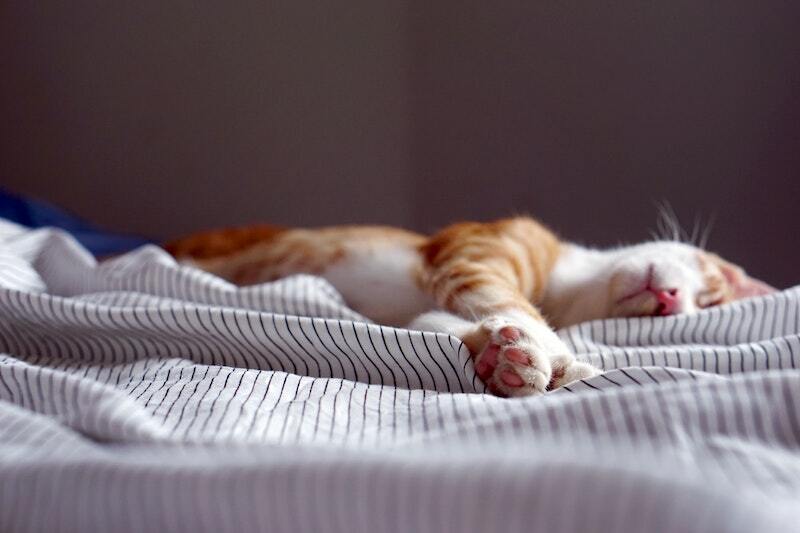 As a result, a person can feel more relaxed and less anxious, promoting a good night’s sleep. The added pressure provided by weighted blankets gives a comfortable environment for anyone who wants to sleep faster and better. 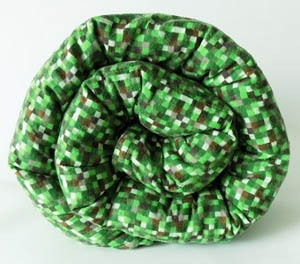 Blankets provide a feeling of being hugged and swaddled, which increases serotonin levels in the brain. In turn, it also provides an increased production of melatonin, a natural sleep hormone that controls the circadian rhythm or the biological clock. 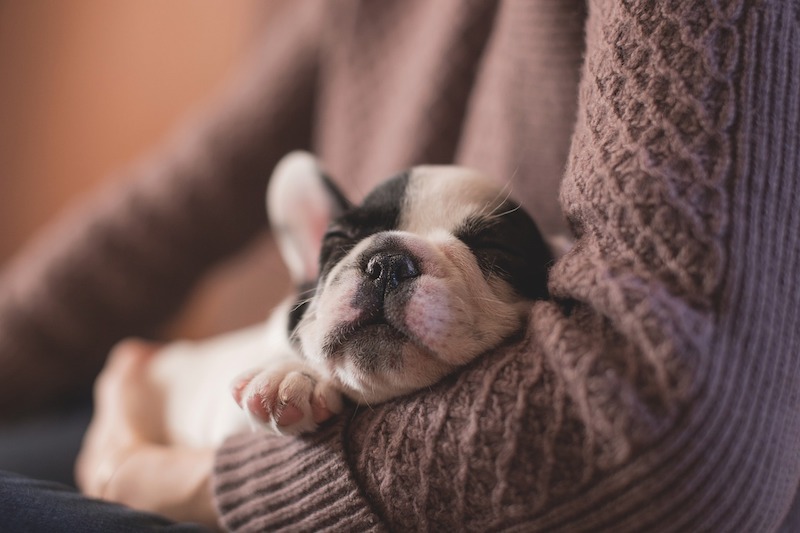 Moreover, being hugged and cuddled increases the release of oxytocin, the hormone that aids in the reduction of the blood pressure and slowing down of the heart rate, providing a feeling of relaxation and help insomnia sufferers. Weighted blankets have shown promise in the treatment of mental health issues, sensory perception problems, anxiety, and stress. At the same time, they can give a good night’s sleep to those with sleep problems, reducing the risk of daytime sleepiness and poor concentration the next morning. The stress of any form can take a toll on one’s quality of life, affecting sleep and mental health. 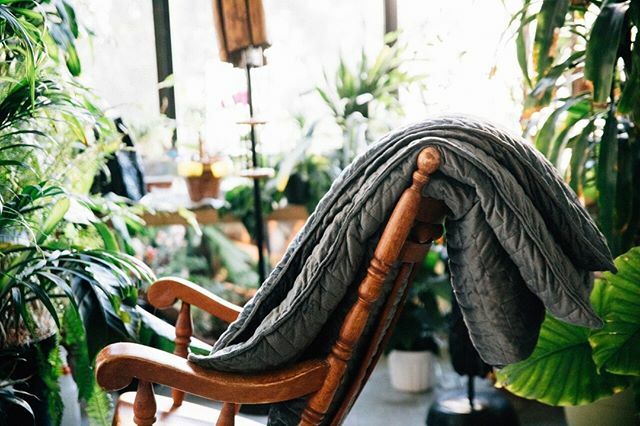 By using weighted blankets, you can reduce its negative effects on your overall health and well-being. It is a preventable condition but sometimes, it’s inevitable. It’s better to use a weighted blanket now than to suffer the effects on your body in the future. Weighted blankets are important for those who have a problem with sleep, mood, and anxiety. Aside from that, it can help calm you down and keep you there during the night, promoting better sleeping patterns and reduced risk of developing the side effects of lack of sleep.